Firstly I would like to thank Space Audio for the samples, they are a relatively new company on the block with some great looking products. I always try to write honest reviews, and these units have been used for over 50hrs before review. The Space One comes in a simple plastic bag with a small paper instruction manual, very simple and keeps costs down. The Space Plus on the other hand comes in a lovely metal tin, and is held tightly in place inside by foam, I really like the packaging of the Space Plus. The packaging doesn’t have any details of specifications on it, but most people will be buying these online where you can find all the info you need. 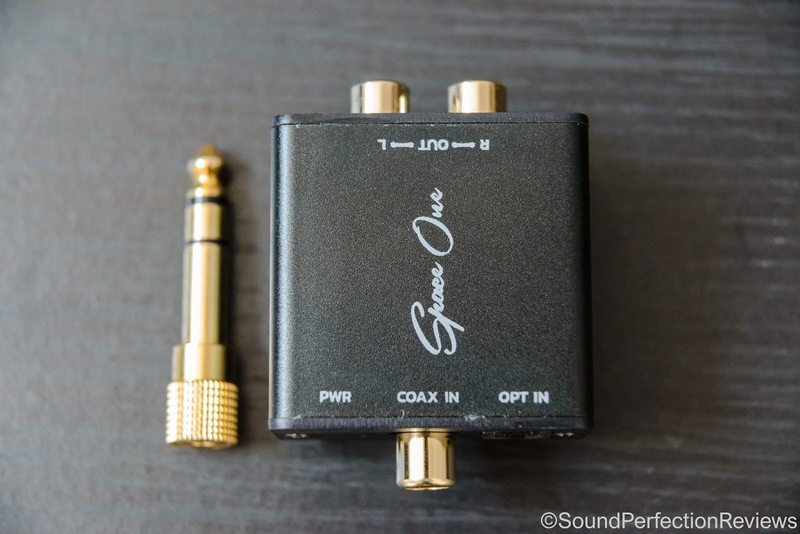 The build quality of both units is very good, the aluminium casing is well finished and sturdy, all the connectors are gold plated, and the volume buttons on the Space Plus also feel good. I cannot find any issues with the build quality on either. Accessory wise, with the Space One you don’t get anything, not even a USB power cable, again I suppose this is to keep costs down, but it would have been nice to have one included. The Space Plus comes with a USB cable only, but nothing else is needed. For both units, I would have liked to see some rubber feet included, luckily I had some handy, otherwise they slide about. 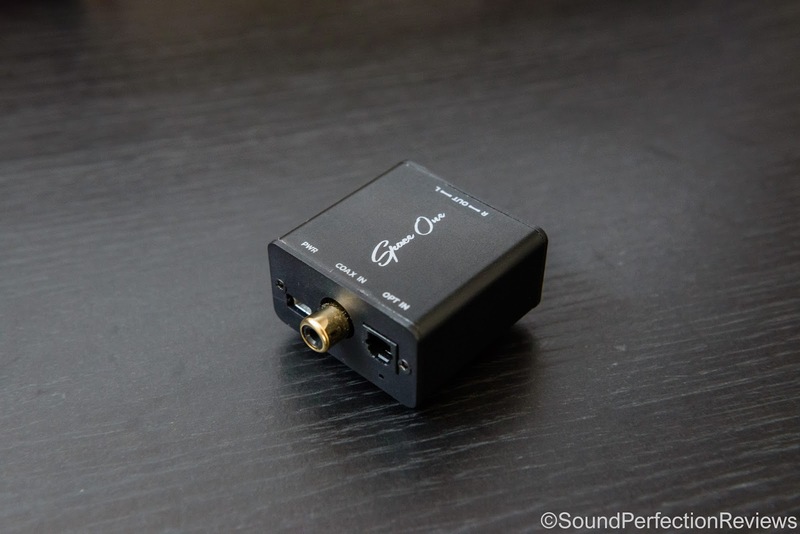 The Space One can only be used with Optical and Coaxial sources, and is powered by a mini USB cable. It is plug and play, not setting up required. I had it working fine via optical with my Opus #2 and my Marantz CD-52 CD player. 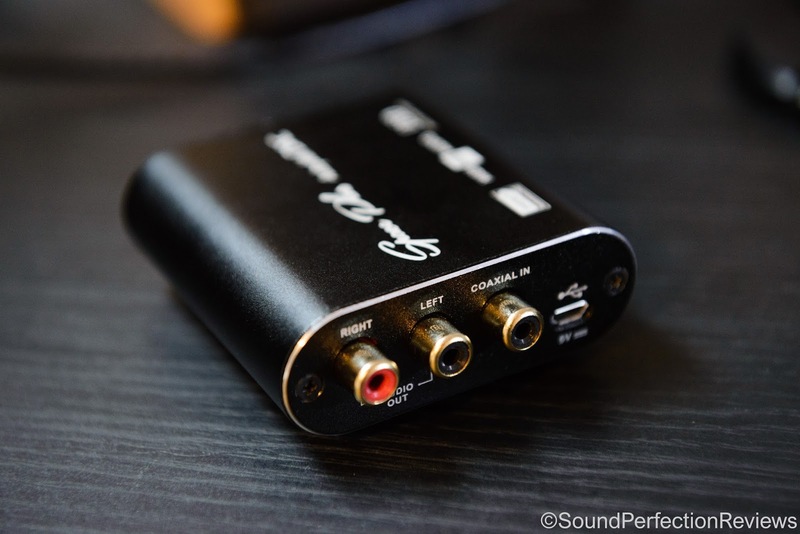 The Space Plus has USB input, Coaxial and also the front mounted 3.5mm headphone socket doubles up as an optical input. Now this means you cannot use it with an Optical source and headphones at the same time. The USB input is standard Micro USB, and there are some drivers you will need to install if it doesn’t come on first time. To change the input source, simply press the up and down buttons at the same time, or get the optional apple remote. With the apple remote you can change the display from an info based one, to a VU meter, to set the RCA outputs to line out simply max out the volume. The great thing about the output is that the buttons are digital, so it works well with sensitive headphones and IEM’s. 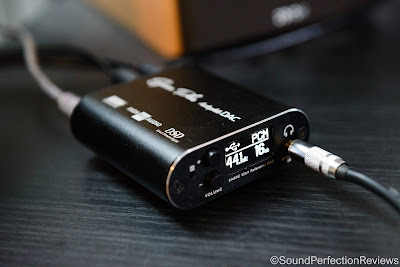 The Space One is a great little device you can tuck behind your equipment and let it do its job, my Opus #2 already has an excellent DAC and Amp section, so the main audible differences came when hooked up to my Marantz CD52. Without the Space One, it sounds a little congested and also smooth, which is great if you like that kind of sound, but the Space one manages to separate the sound much better and bring out an extra layer of detail. The detail retrieval is excellent, and I would say that is has a very neutral sound signature, but not artificial sounding. The Space Plus shares a similar signature, with both devices using the ESS Sabre chips, compared to my JDS Labs EL DAC I would say it has slightly sharper edges, and a slightly harder sound. 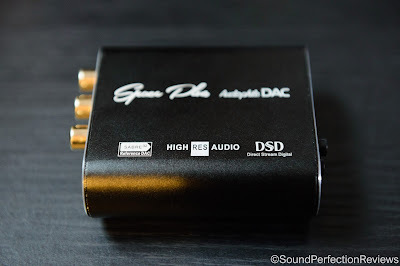 The EL DAC sounds ever so slightly more coherent and natural, but the Space Plus is tiny and can drive most easy to medium hard to driver headphones, and does not require an external power supply. The Space Plus is a great transportable DAC/Amp for using in the office, or coffee shop. The sound has no obvious flaws, it is detailed and neutral working well in most systems. I wouldn’t recommend it as a main desktop amp/DAC as the amp section does not have the most power or authority to it, but it works well with most portable headphones. Hook it up as a DAC to an external amp and you have a high quality DAC though. Conclusion: The Space One is perfect to improve the output of your CD player or similar, it is tiny and can hide behind your equipment and provides a welcome boost in clarity to lower quality components. It won’t work miracles if you have top end equipment, but if you are looking to improve your equipment without spending big bucks, it’s worth looking at. 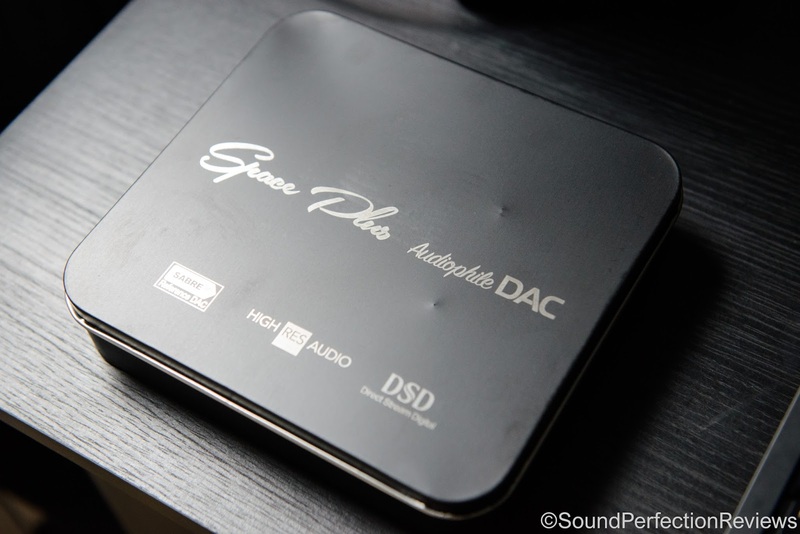 The Space Plus is a small, transportable DAC/Amp that is fully DSD compatible etc... It does what it says, and has a nice clean sound. The amp section does not have a lot of weight and authority to the sound if using harder to drive full size headphones, but works very well with portable headphones and IEM’s. 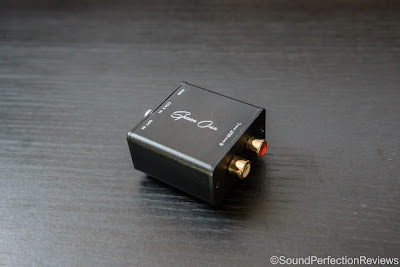 It has different inputs and outputs, and is very versatile; it works excellently as an external DAC for at home too. It is a bit of a jack of all trades, doing most things very well, but nothing spectacularly. For which I actually cannot fault it for the price and size.